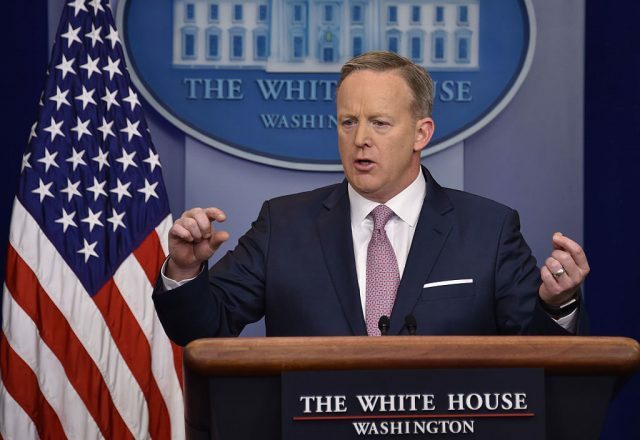 Sean Spicer said he believes that Democrats are trying to delay the confirmations of President Donald Trump’s Cabinet nominees. “It’s time for Senate Democrats to stop playing political games with the core functions of government, and to allow President Trump’s unquestionably qualified and talented group of Cabinet nominees to get to work on behalf of the American people,” Spicer said. He pointed out that when Barack Obama was inaugurated in 2009, seven of his picks were confirmed while Trump has two confirmed.